Our Centre’s unique and vital mission is to understand how we as a society can protect animals from cruelty and abuse. A major factor that exacerbates animal cruelty is the deeply undemocratic way that life-and-death policy decisions are made by the UK government. So in this groundbreaking CASJ-funded research article, the final version of which has been published online in the European Journal of Political Theory, Professor Rob Garner (University of Leicester) explores how changes to different democratic decision-making processes could help or hinder animal protection. It has been offering a remedy, or at least a partial one, to the perceived weaknesses of traditional democracies – characterised by soundbite politics, the dominance of money, poor decision-making, declining participation, increasing moral and political divisions and so forth. Certainly, the ‘dominance of money’ and ‘poor decision-making’ have contributed to the huge scale of animal harm permitted by the government in the UK and elsewhere. At first sight, any system that overcomes these distortions has the potential to benefit animals as well as human citizens. In a ‘deliberative democracy’, the emphasis is on reasoned and detailed discussion where all voices are included. Which animal advocate hasn’t wished for that when banging their head against a brick wall trying to communicate with their MP or a government Minister?! The article demonstrates how previous deliberative exercises have affected citizens’ views on animal issues in a positive way. 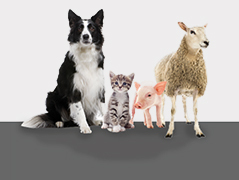 One of these, the Welfare Quality (WQ) project, was an EU-funded exercise which sought to ascertain societal views on animal welfare on farms and at slaughter. This was achieved through the creation of almost 50 focus group discussions in a variety of EU member states, and citizens’ juries in Italy, the UK and Norway. The citizens’ juries consisted of 10-12 people representing different sides of the debate (e.g. vegetarians, consumers on a budget, ‘mainstream’ consumers etc.) who met weekly for a number of sessions where experts gave information on different aspects and views on farmed animal welfare. It was reported that some jurors were ‘quite shocked and surprised’ by the reality of intensive animal agriculture. In particular, they were shocked about the stocking densities in broiler sheds and the short life-spans of broiler chickens. The jurors in general ended up being fully supportive of animal welfare measures significantly stronger than those in force now. The implications of the jury verdicts are revolutionary: an estimated 50% of European livestock farms would be closed due to their unacceptable welfare standards. Our research indicates that the aims of the animal protection movement will be promoted by higher-quality democratic processes, and that a genuinely deliberative democratic system is likely to lead to laws and regulation that benefit animals massively compared with the current situation. It is vital that the animal protection movement starts to address these underlying solutions to the gargantuan scale of animal cruelty rather than continuing to concentrate on doomed attempts to deal with the inevitable outcomes of an institutionally-cruel British state. Ref: Garner, R. (2016) ‘Animal rights and the deliberative turn in democratic theory’, European Journal of Political Theory. doi: 10.1177/1474885116630937. You can download a version of this paper from here.